Big says that people don’t eat chicken eggs, they just hatch every one they can and eat em. 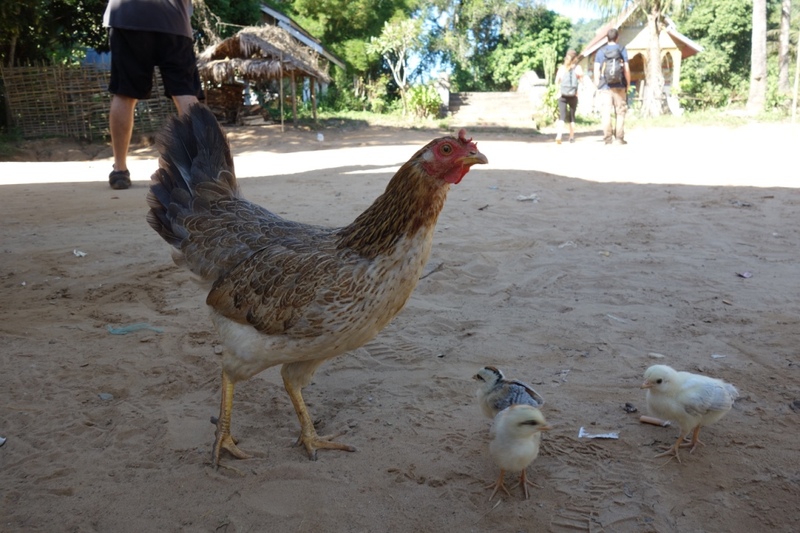 That means that there are dozens and dozens of tiny chicks running around and chirping in every Lao village we’ve been to. It’s a charming soundtrack. But we do have to do a lot of chick dodging as we drive.